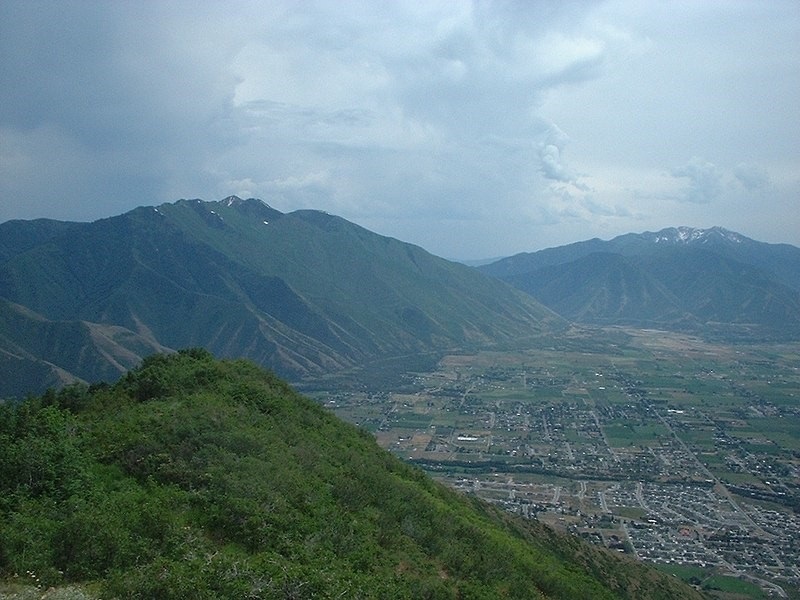 Situated between Hobble Creek and the Spanish Fork River, Mapleton was used by early settlers in Utah County for livestock grazing, logging and farming. Attracted by the land offered through the Homestead Act, the first permanent settlers arrived around 1870. The town was originally known as “Union Bench” until 1901, when the name was changed to Mapleton. Mapleton was officially incorporated in 1948. The historical photograph collection showcases the city's growth. From the beginning the land was used for growing grains and crops, and fences kept the animals corralled here. Community members use the nearby cities of Springville and Spanish Fork for their shopping needs. The town finally grew, and the images showcase the strength of those families who persevered and developed the city into what it is today, with its several educational venues, parks, and its stunning agricultural beauty. The area strives to maintain its rural charm. Only one restaurant is located within the city, along with two gas stations. The city currently boasts two stoplights. The Church of Jesus Christ of Latter-day Saints is the only religious institution in the city.